HAS YOUR SKIN LOST IT'S YOUTHFUL GLOW ? Over time, you may start to notice changes in your skin's appearance, typically in the form of fine lines and wrinkles. You may also start to notice brown spots, spider veins, red spots, acne and hyperpigmentation. These changes are commonly caused by genetics and aging. However, environmental factors such as UV light, smoking, pollution, poor nutrition, or excessive alcohol use may also play a role. Fortunately, we have a family of lasers proven to rejuvenate the skin and help restore your skin's youthful appearance. Learn more about the innovative Harmony 360® below. Harmony 360® is a revolutionary skin treatment which uses an intense light beam to rejuvenate the skin with minimal downtime. 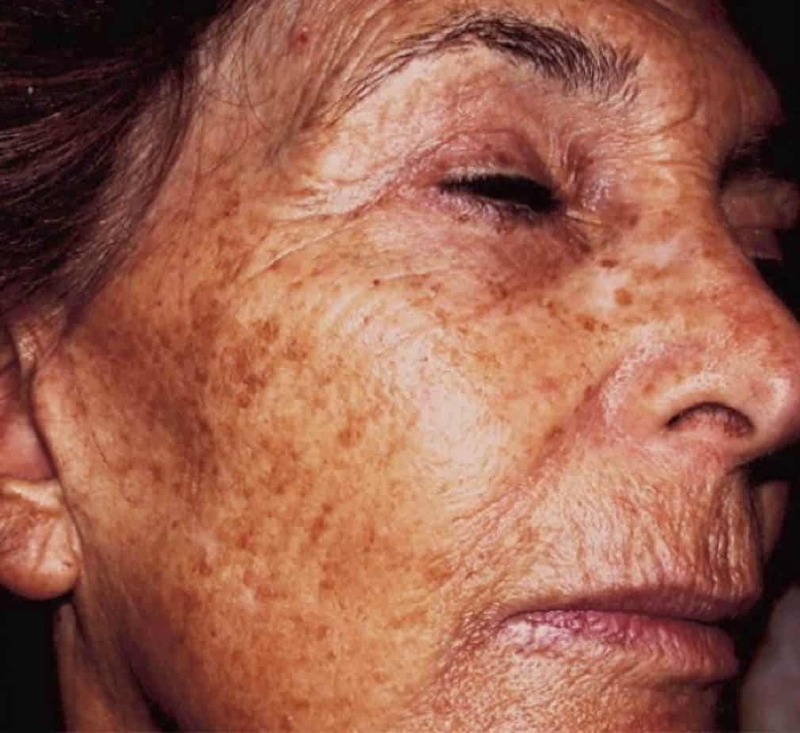 It effectively removes years of sun damage, age spots and brown spots (hyperpigmentation). Harmony 360® bleaches out the brown spots leaving your skin tone soft and even. "Cookie baker, grandmother and family chauffeur"
"It's not retouching ... It's Harmony 360®." Cheryl is committed to her family. Whether she's playing blocks with the little one or driving the older grandchild to swimming practice, she lives for them and doesn't regret much. But there are some things she does regret, like not taking better care of her skin. Cheryl sought out treatment, and now her only regret is that she didn't do it sooner. 1. HARMONY 360® - is a revolutionary skin treatment which uses a laser light beam to revitalize the skin with virtually no down time. The Harmony 360® effectively reverses years of sun damage, brown spots, red spots (spider veins) and acne. Absolutely no down time. 2. OBAGI® SKIN CARE- products to brighten and improve the appearance of her skin. 3. LOCATION- AAAHC accredited Lakewood office Cleveland Cosmetic Surgery private surgical suite. Cheryl has many years of photo damage. She'd like to permanently reverse the current skin damage. Going forward, she incorporated a doctor prescribed skin care regimen which includes Skin Medica sunscreen and Obagi® skin products. Initially, Dr. Diamantis recommended Harmony 360® laser to improve Cheryl's skin health. 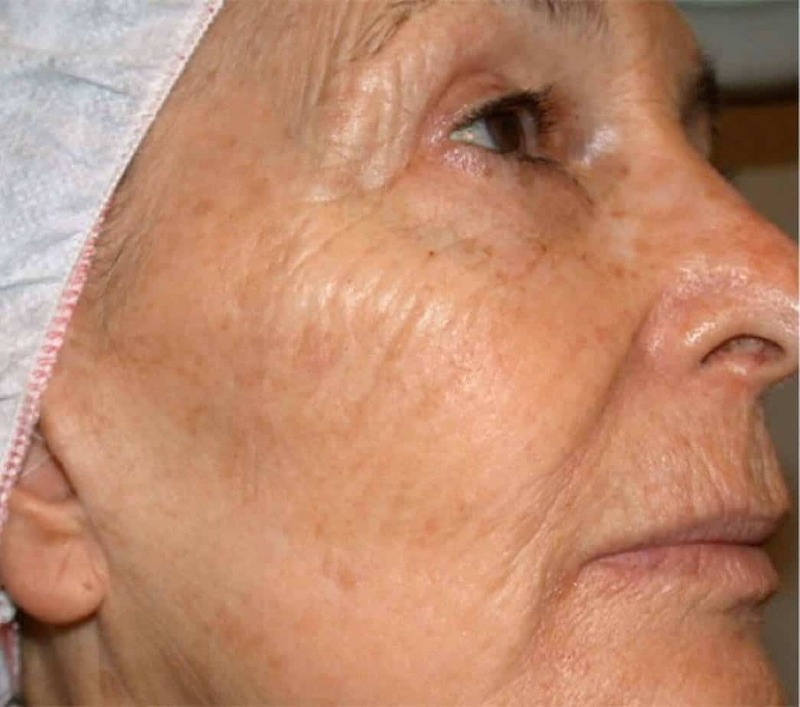 Today, Cheryl's overall skin health is much improved after one laser treatment.
" Teacher, mother (to be) and avid novel reader"
"I love everything about motherhood except the crazy changes my skin went through. " Kim loves everything about motherhood. Whether she's playing Candyland® or changing diapers, she lives for the joy of it all and doesn't regret much. There are some things she does regret, like the physiologic changes her skin endured. So Kim was pro active and sought out treatment for the spider veins around her cheeks and nose. Now she unconditionally loves everything about motherhood. 1. HARMONY 360® - is a revolutionary skin treatment which uses a laser light beam to shrink spider veins (telangiectasia) of the skin with virtually no down time. The Harmony 360® effectively reverses years of sun damage, brown spots, red spots (spider veins) and acne. 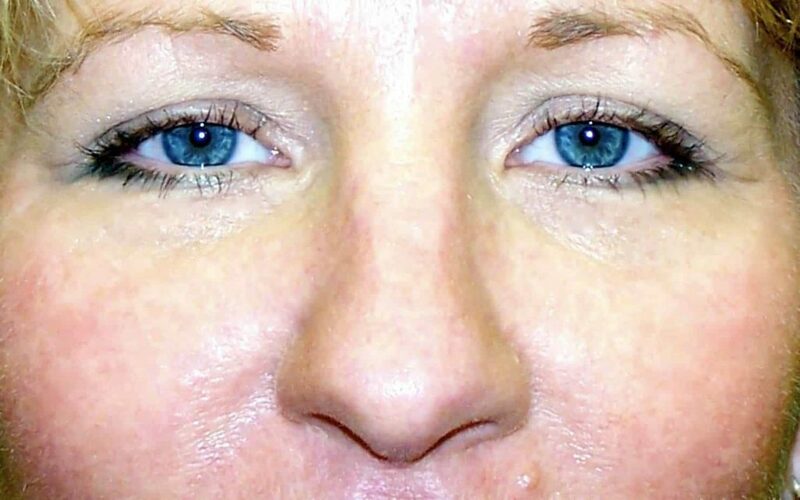 Absolutely no down time..
Kim noticed the spider veins (telengectasia) in her cheek have progressively gotten worse. It has become a morning chore to put her make up on because it is very difficult to camouflage the red lines. Dr. Diamantis performed an extensive consult with Kim and deduced that this is a genetic trait. Incidentally, Kim’s mother also has problems with spider veins. Dr. Diamantis recommended a few treatments with the Harmony 360® laser in the office. This procedure is performed with a little topical cream. 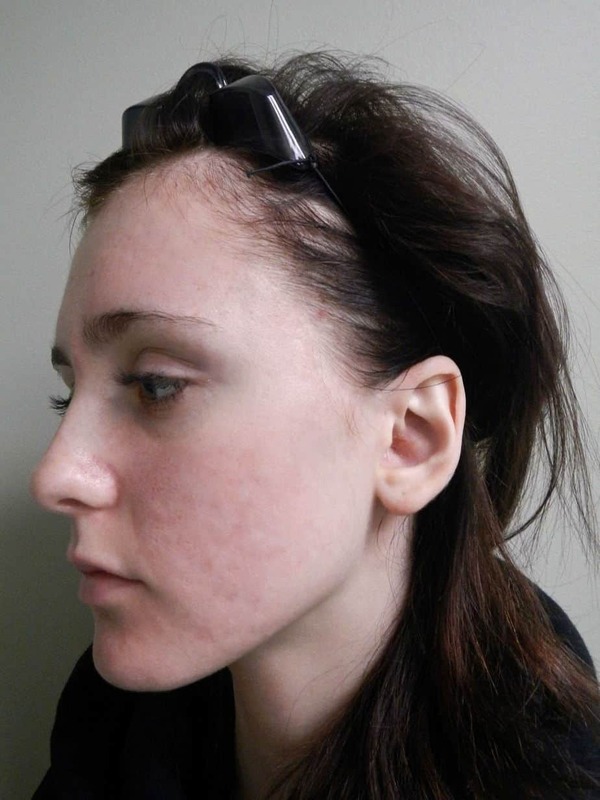 Red lesions are a commonly treated skin condition at Cleveland Cosmetic Surgery. Most red lesions are innocuous lesions simply treated with the Harmony 360®. Occasionally, red lesions are associated with systemic diseases which require a more thorough differential diagnoses and medical treatment. The most common systemic diseases that are associated with red lesions/ telengiactasias are rosacea, lupus erythema, and bleeding disorders. Dr. Diamantis will evaluate your skin and develop the most appropriate avenue of treatment.
" Runner, mother, and professional life coach"
From training for a 10K, to running a small business, Malba doesn't always make time for skin care. But this year, it's time to take care of herself, and she's starting with her skin. 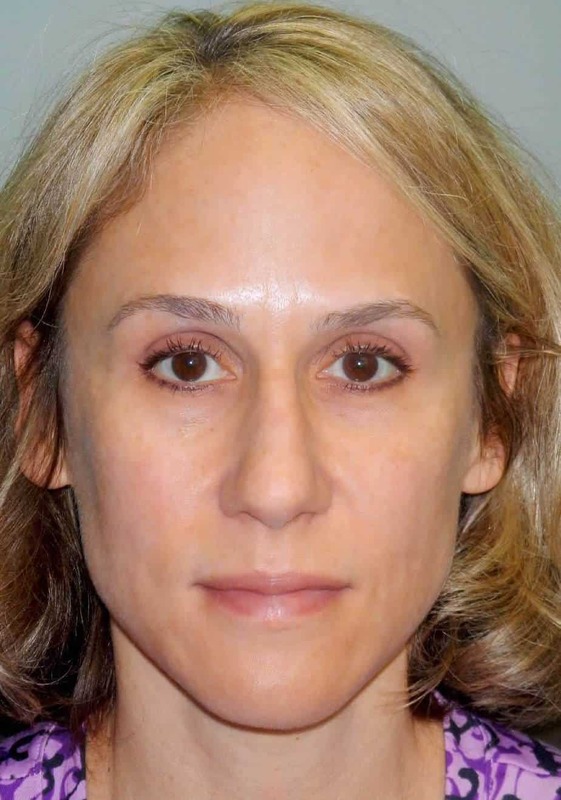 Dr. Diamantis recommended treatments that were right for her, and now she is much happier with the way she looks. Malba seeks general skin improvement. She wants her skin to look brighter and more youthful. Harmony 360® is ideal for Malba's lifestyle and time commitment. After Harmony 360®, Malba's skin looks more youthful and refreshed. 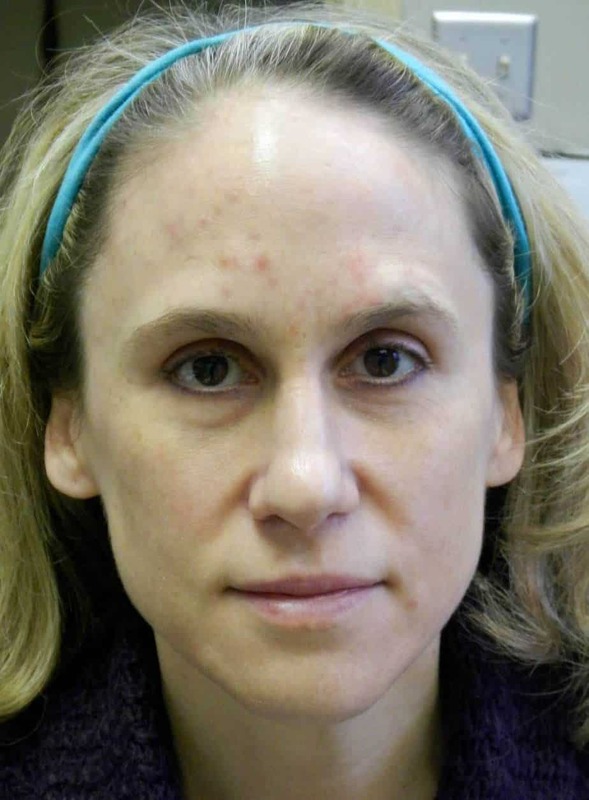 Dr. Diamantis improved her skin texture, skin tone, and stopped Malba’s adult acne outbreaks. "Student, daughter and beach volleyball player"
From winning a volleyball match to excelling in school, Lauren doesn't like to lose. 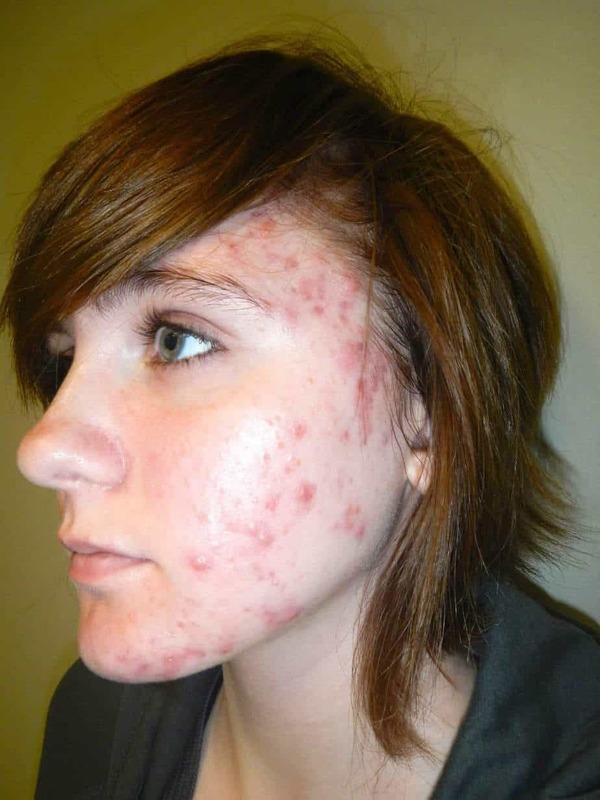 But her acne outbreaks are a formidable opponent. Lauren was about to give up when a friend referred her to Dr. Diamantis. She sought out treatment at Cleveland Cosmetic Surgery, and now Lauren is thrilled with her skin. 1. 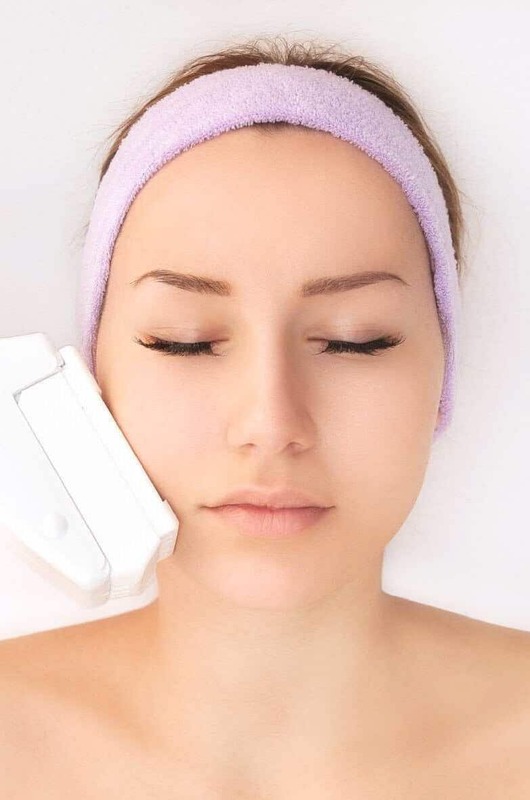 HARMONY 360® - is a revolutionary skin treatment which uses a laser light beam to revitalize the skin with virtually and block the acne cycle. It is indicated for acne treatment when all other treatments fail. The Harmony 360® effectively reverses years of sun damage, brown spots, red spots (spider veins) and acne. Absolutely no down time. Lauren was very frustrated with her current acne treatment. Lauren's mom felt they were running out of options. As a last resort, a friend referred her to Cleveland Cosmetic Surgery. Dr. Diamantis prescribed the Harmony 360®. Today, Lauren is thrilled with her new skin. The Harmony 360® "changed my life." She is very thankful for the Doctor and Staff at Cleveland Cosmetic Surgery.